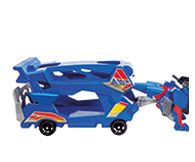 Lex the T-Res, king of Tyrant lizards! 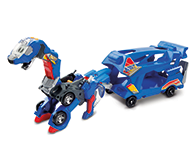 2-in-1: switches between a dinosaur and car. 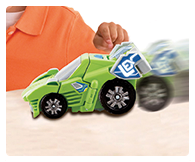 Buttons play phases, facts and sounds. 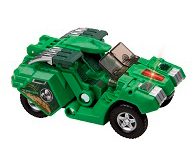 Within a few steps, you can easily change your vehicle into a lively dinosaur! 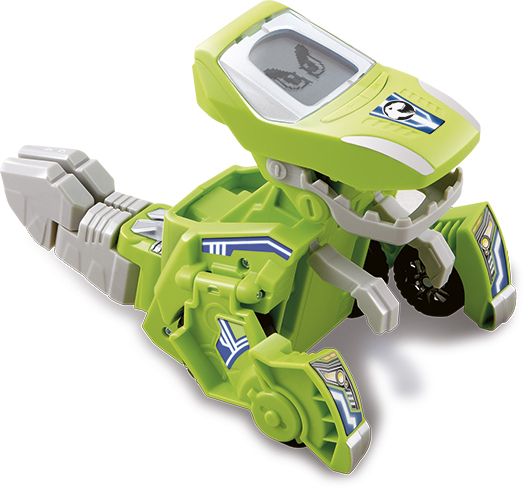 Plays sound effects as you push along and when switching. 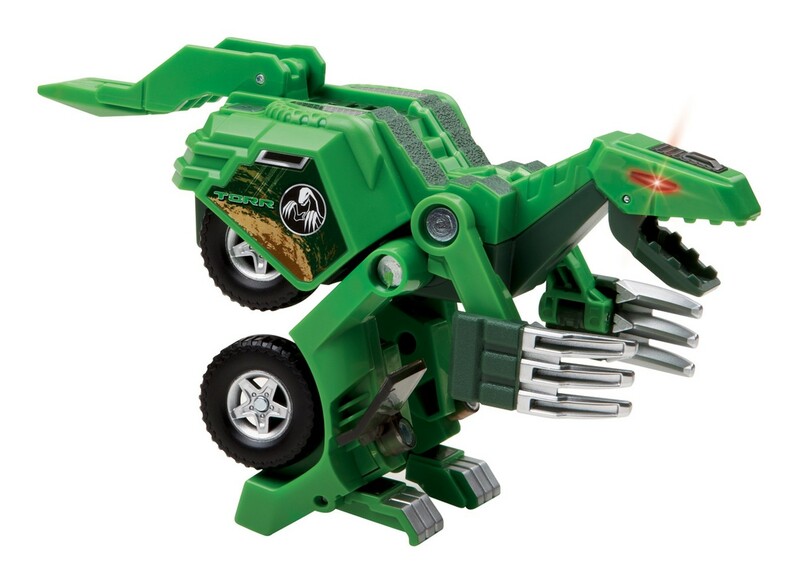 Press the action buttons to activate dinosaur facts and sound effects. 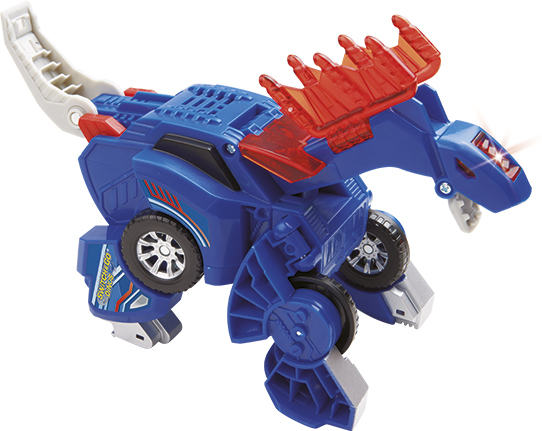 Abner the Amargasaurus is a noble warrior! 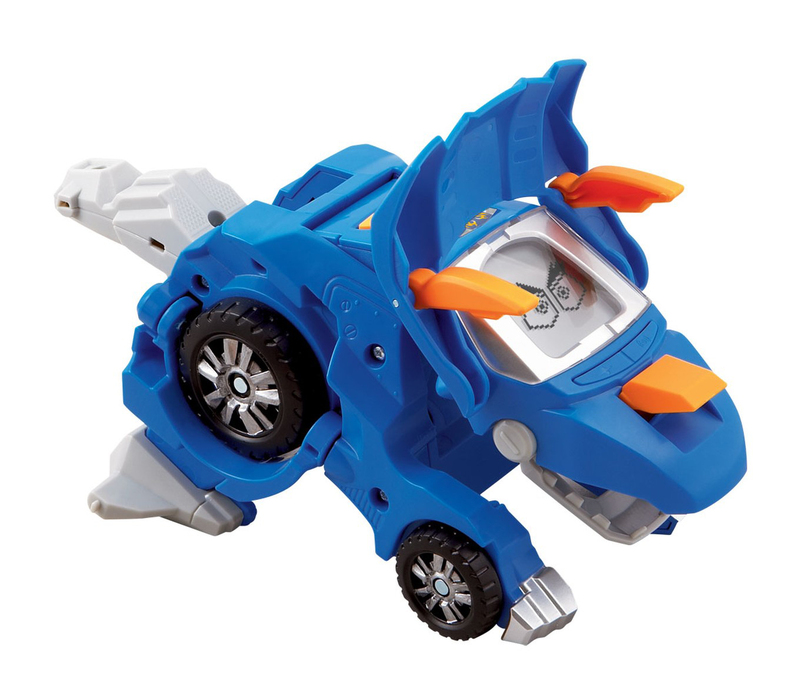 2-in-1: switches between a dinosaur and car. 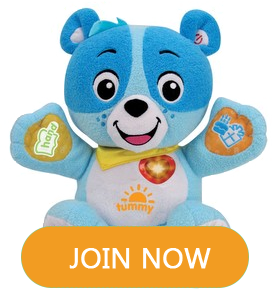 Buttons play phrases, facts and sounds. Horns is strong and tough! 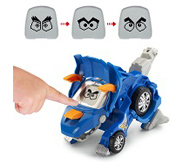 2-in-1: switches between a dinosaur and a car. 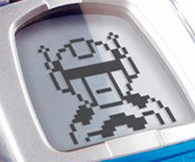 Buttons play phrases, facts and sounds. 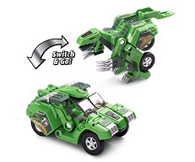 Switches between Triceratops and a powerful car in a few simple steps! 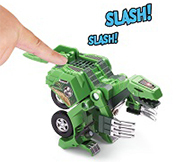 Press action buttons to activate dinosaur facts and sound effects! 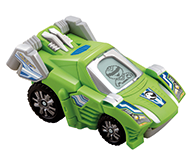 LCD screen displays cool customizable dinosaur eyes and driver animations. Torr the Therizinosaurus is strong with big claws! 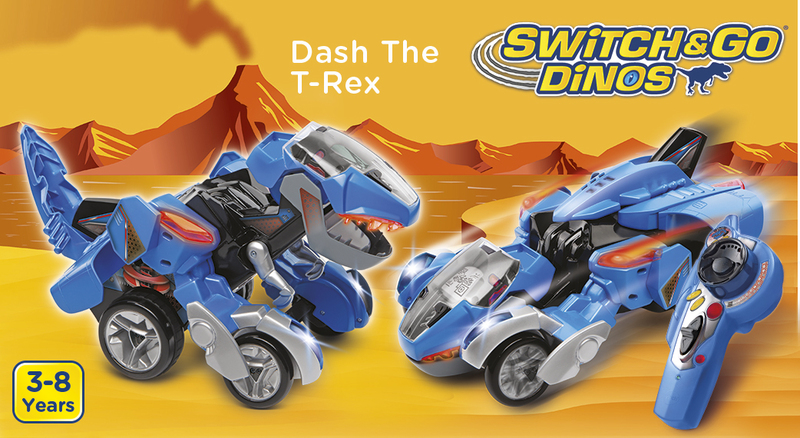 2-in-1: switches between a dinosaur and car. Buttons play phrases, facts and sounds. 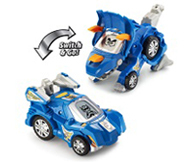 Switches between a powerful car and a Therizinosaurus! 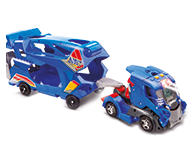 Plays sound effects as you push along and when transforming! 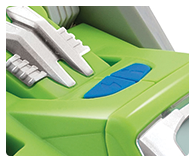 Press the buttons to hear fun phrases, learn dinosaur facts and to hear great dinosaur and car sound effects.